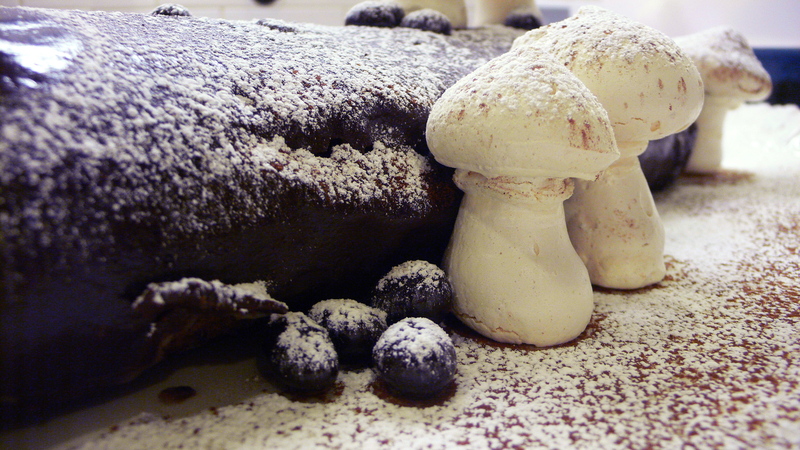 A hands-on class; each student will leave with their own Bûche de Noël. Class will end with a light dinner and a taste of a cake. This impressive and festive European dessert is easier to make than you might think! And it teaches a plethora of key pastry techniques to help further your baking journey at home. Our pastry expert Jennifer Altman will teach us how to prepare all of the components to the holiday season's most sought-after sweet: tender sponge cake filled with silken Swiss meringue buttercream, iced with chocolate ganache and decorated with meringue mushrooms, marzipan holly leaves, and candied cranberries. She'll lead us in assembling them all into a delicious centerpiece worthy of your holiday table!